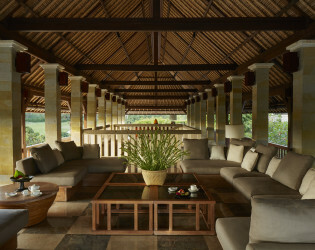 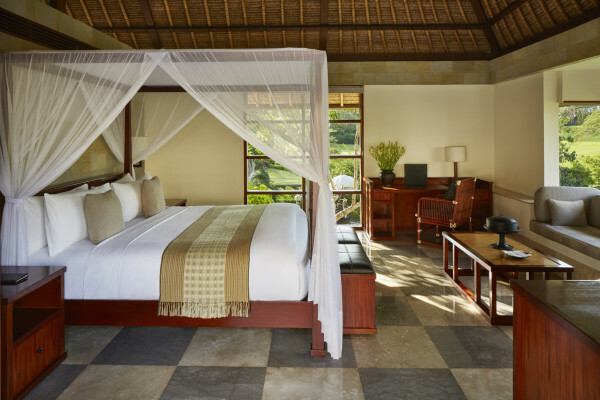 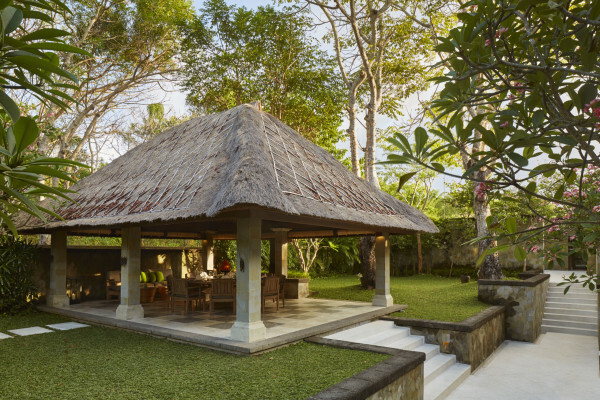 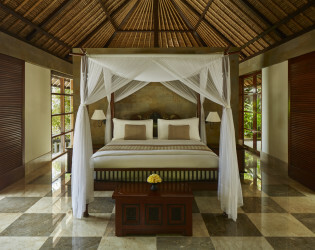 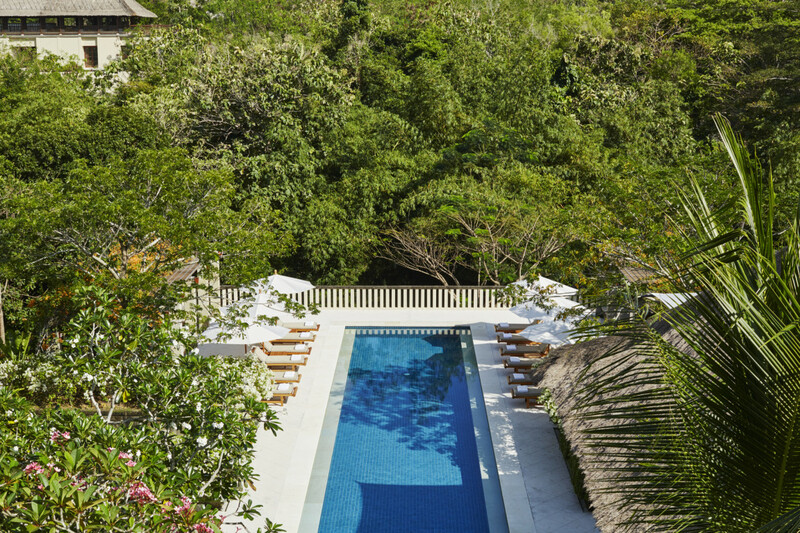 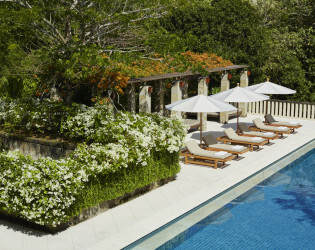 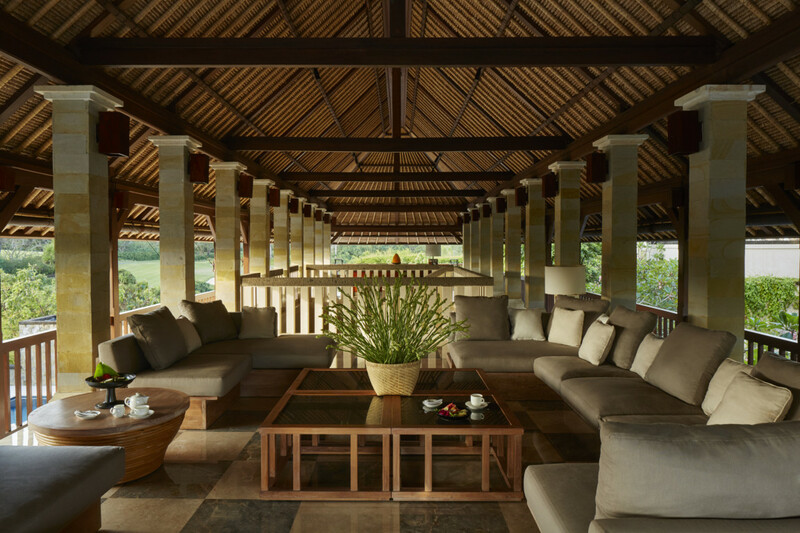 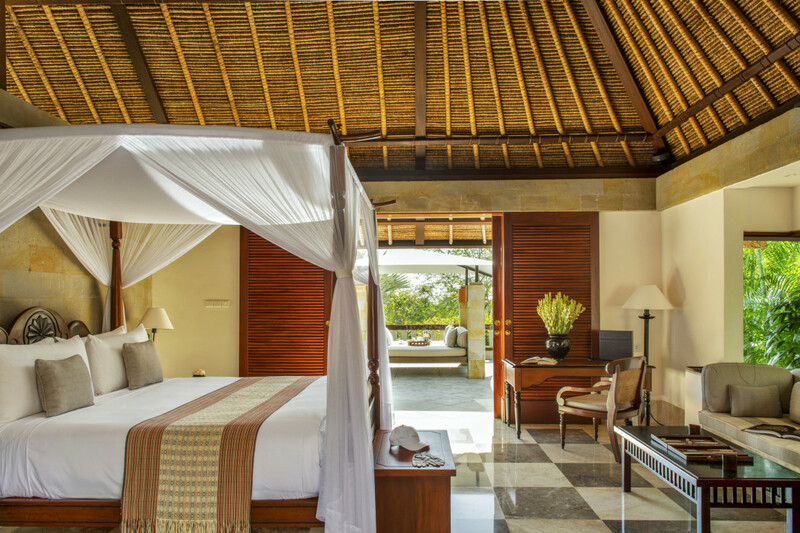 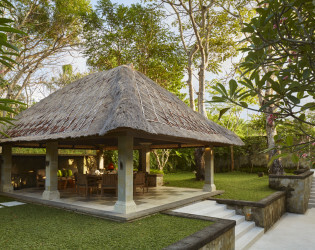 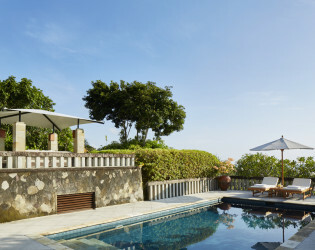 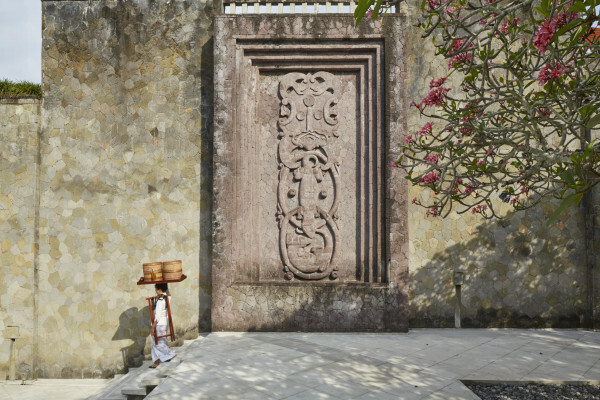 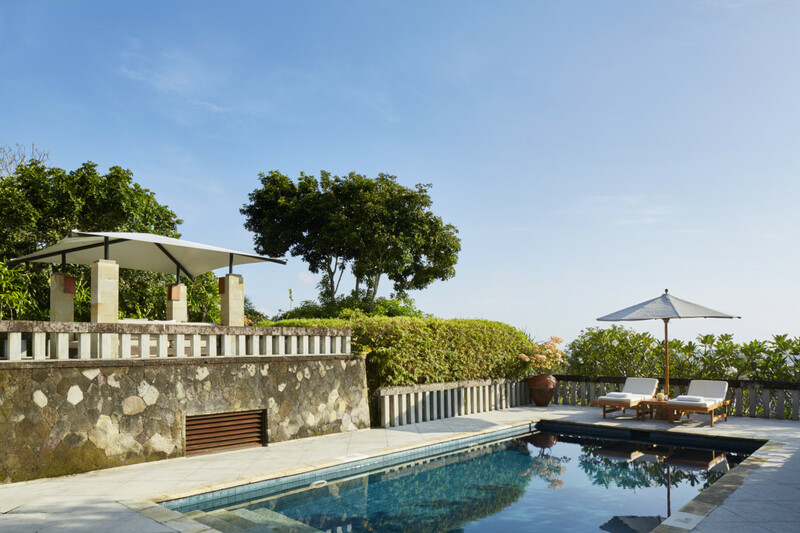 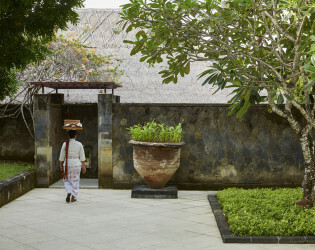 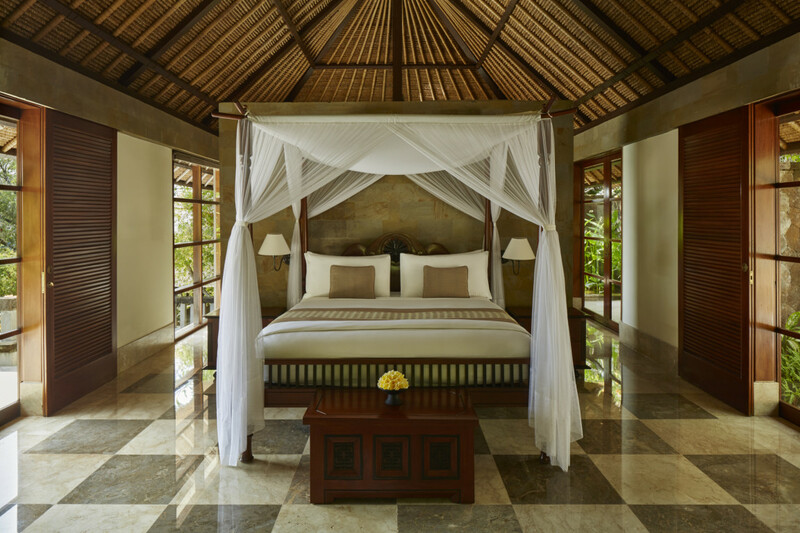 Bougainvillea-shaded streets belie this beautiful Balinese retreat and intimate escape overlooking the Indian Ocean. 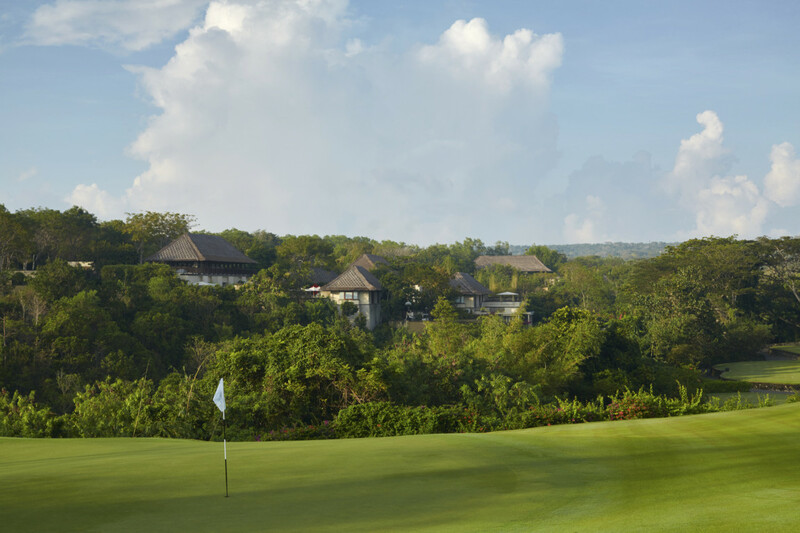 Boogie down at the bohemian beach club beneath the Bali National Golf Club or wine and dine in delight at the elegant Italian restaurant. 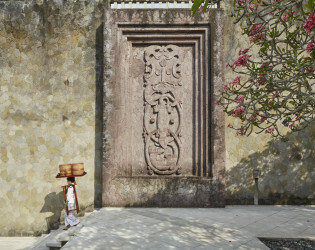 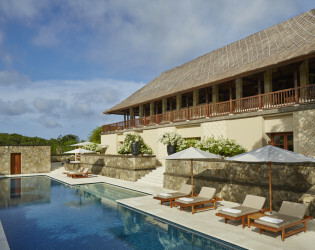 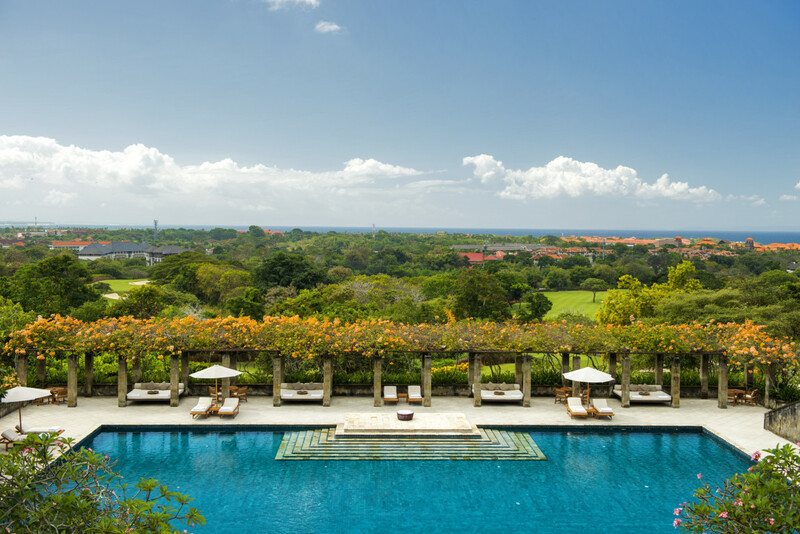 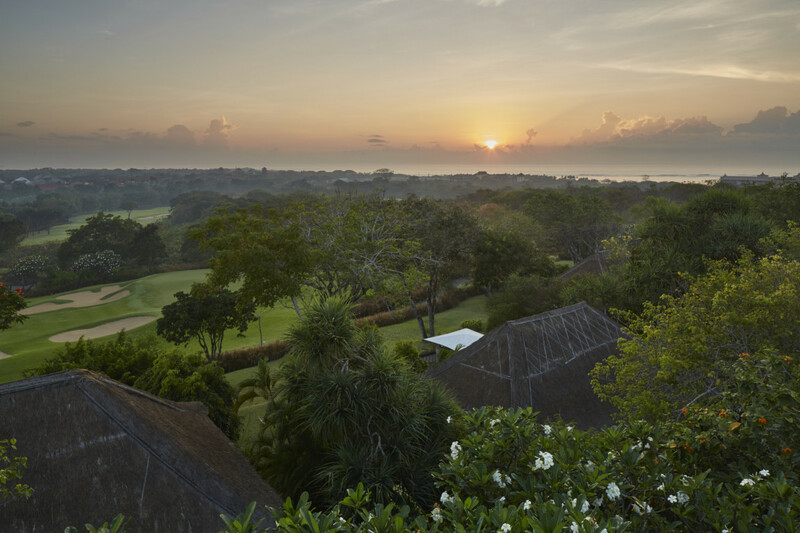 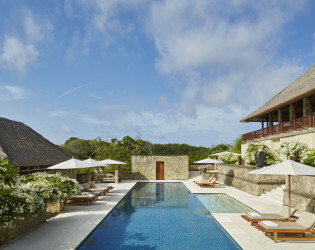 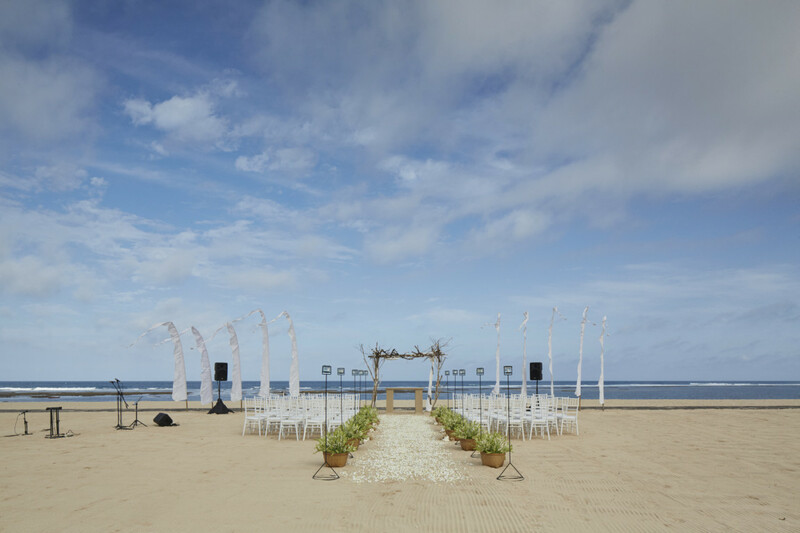 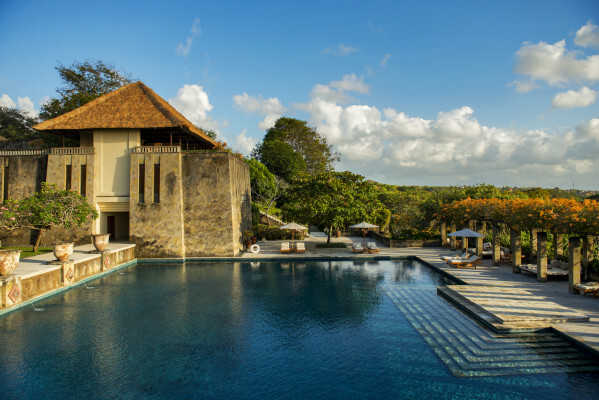 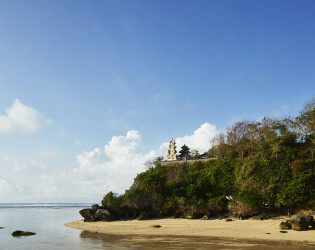 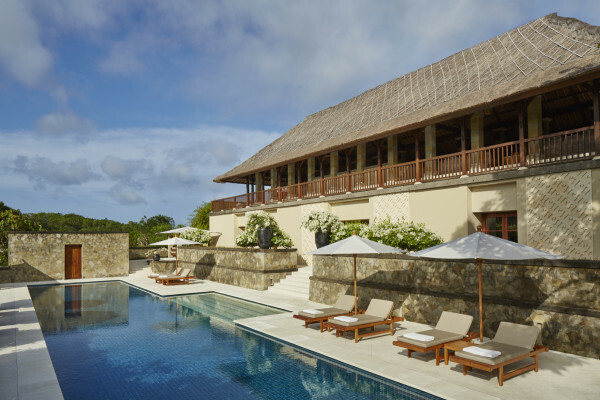 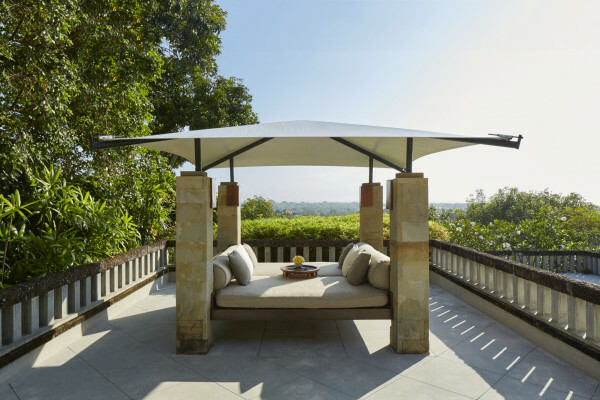 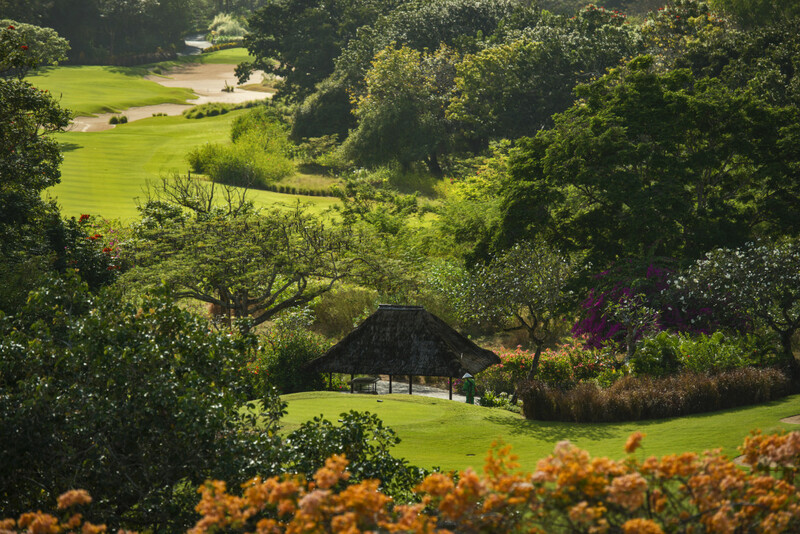 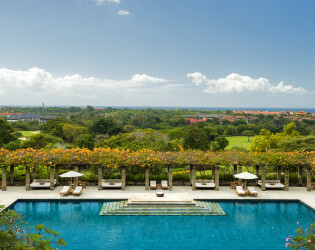 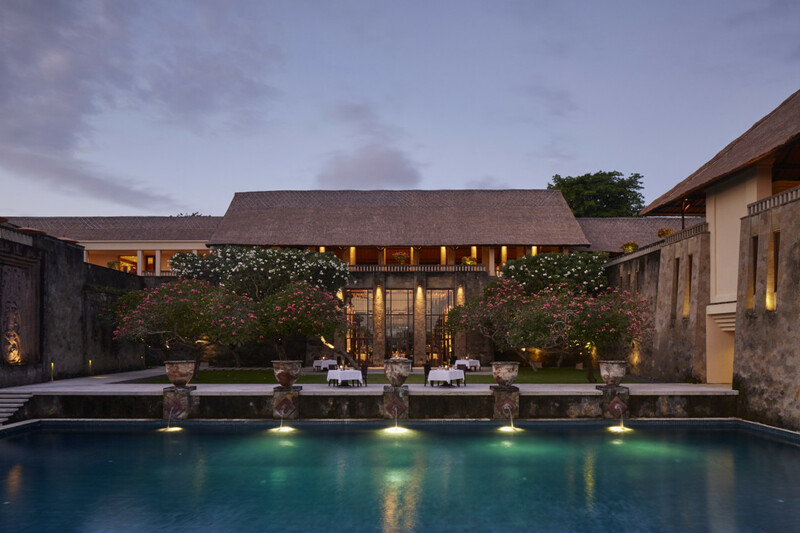 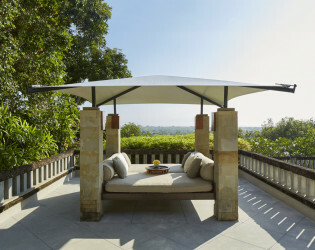 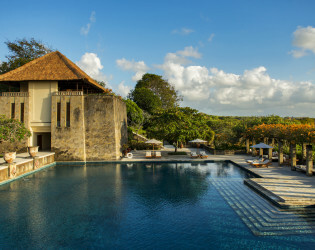 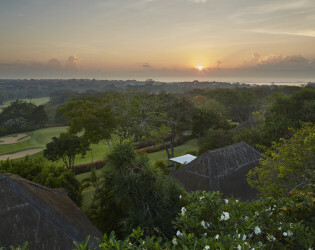 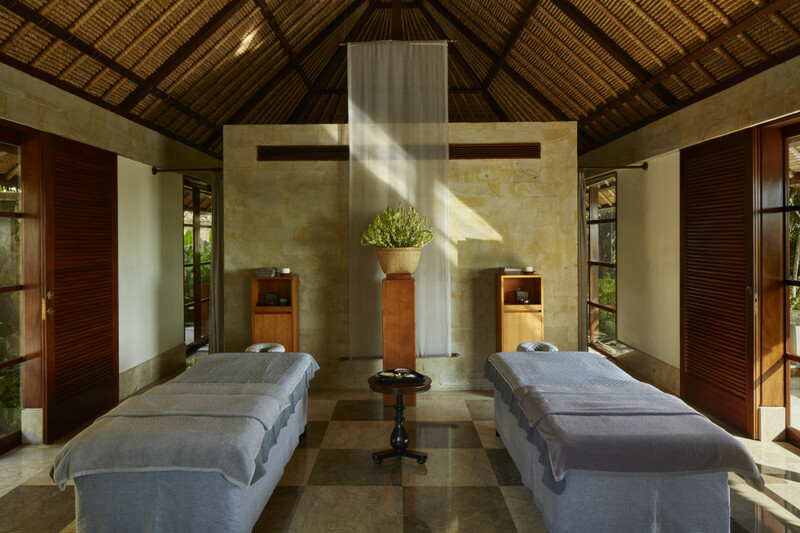 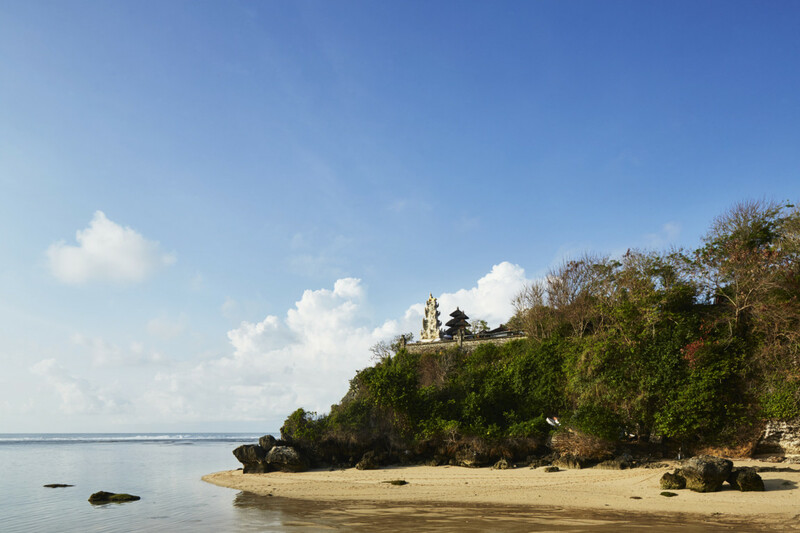 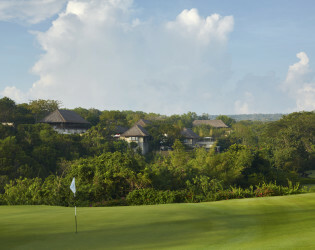 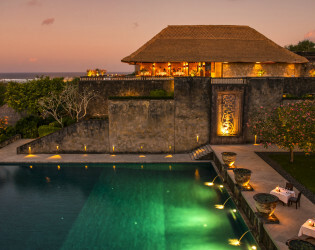 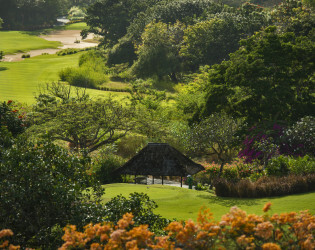 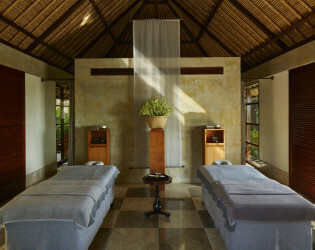 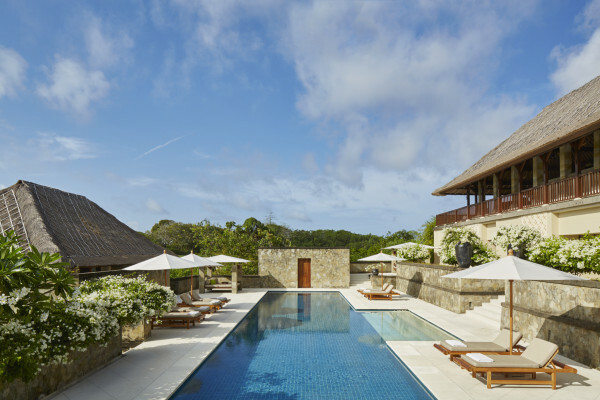 Amanusa, which means “peaceful isle,” is located on Bali's southern peninsula on a grassy knoll overlooking Nusa Dua, the Indian Ocean and the Bali Golf and Country Club. 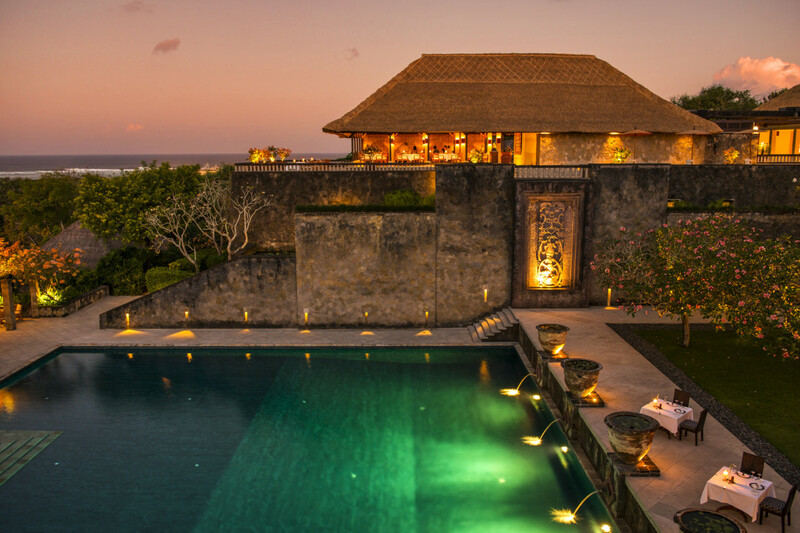 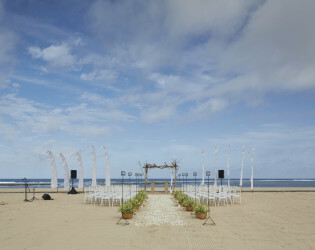 The resort commands spectacular views of the island of Nusa Penida and the distant volcano of Gunung Agung. 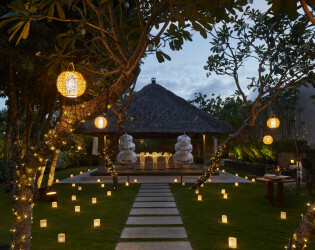 A very private and relaxing retreat, its award-winning architecture provides a sense of space and serenity, and its location is in convenient proximity to many day and night Bali activities. 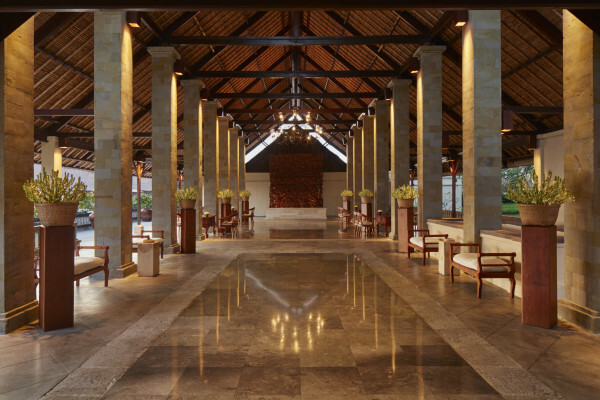 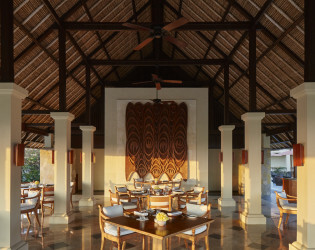 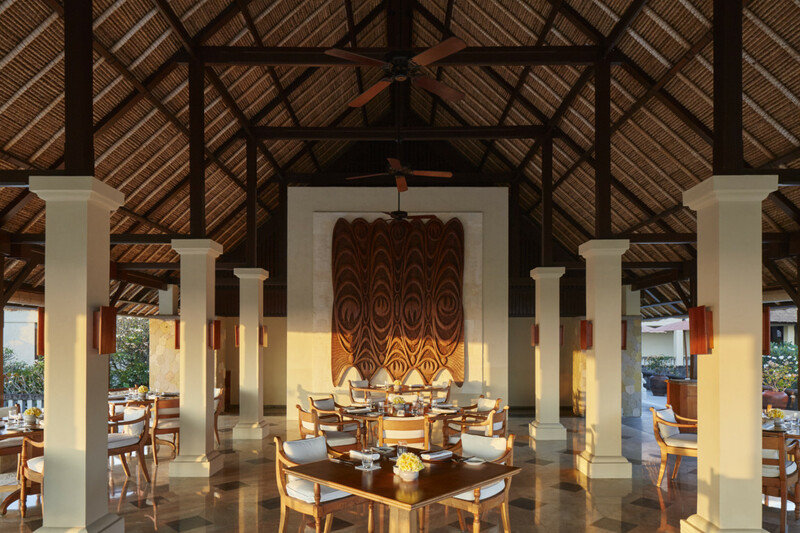 The arrival porte-cochere leads to The Bar and Terrace Restaurant, which enjoy panoramic views and the cool ocean breeze. 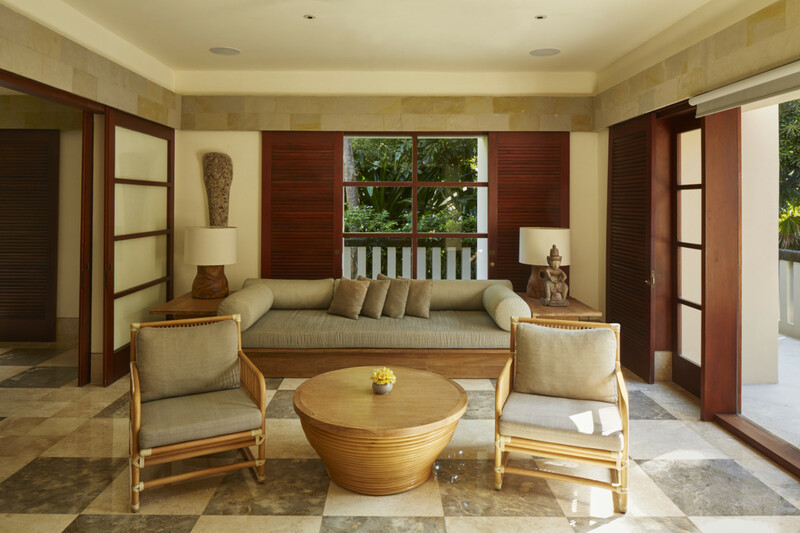 A colonnade with the Gift Shop, Gallery and Library completes this entry level. 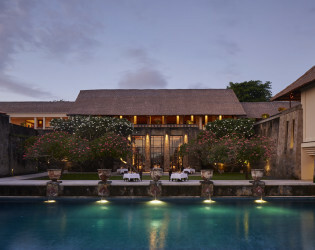 The two lower levels house a Boardroom for meetings and The Restaurant with its lofty ceilings and glass panels that look across a lawn to the main Swimming Pool. 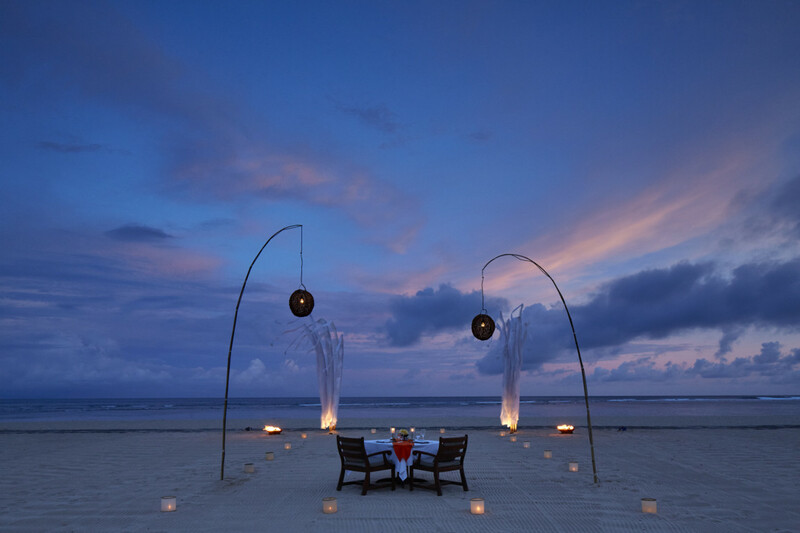 An informal Beach Club is located on the beachfront approximately 1500 meters from the resort, and consists of private bales with grass thatched roofs and accompanying sun loungers. 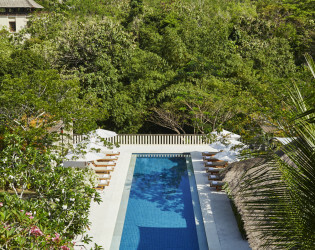 51-70 guests: minimum 5 rooms and 2 nights stay. 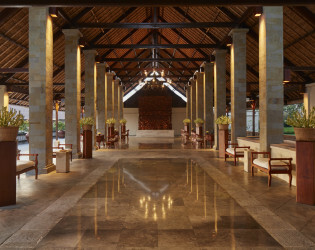 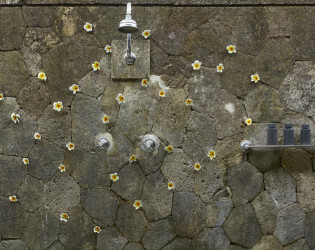 71 - 80 guests: minimum 10 rooms and 2 nights stay. 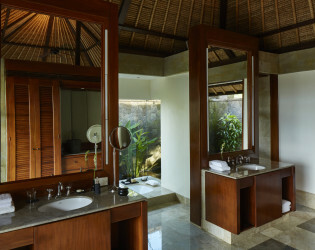 There are 30 suites interspersed throughout the resort gardens and connected by walkways to the guest facilities. 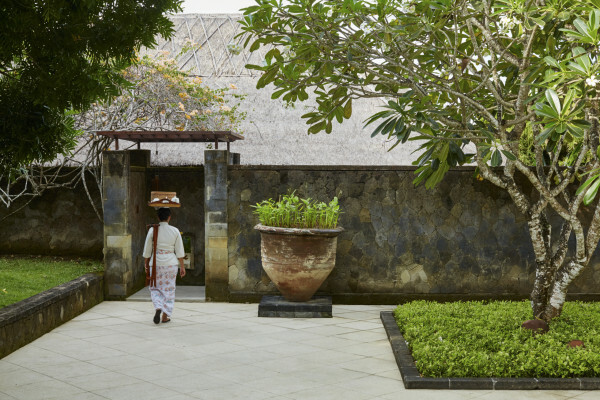 The entrance to the thatched roof suites is through a walled forecourt containing a garden and dining setting. 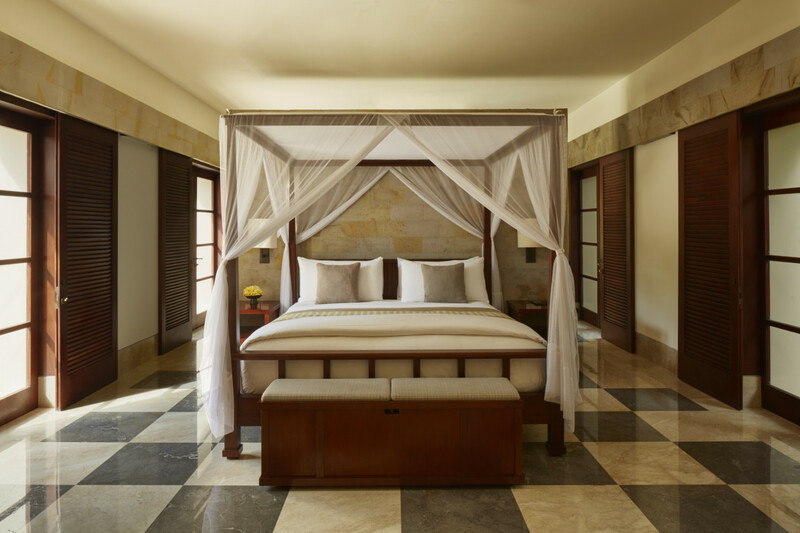 Sliding glass doors lead into the interior living area, which has a four-poster canopied bed with mosquito netting, dining setting, window seat and armoire with a music system, television and private bar. 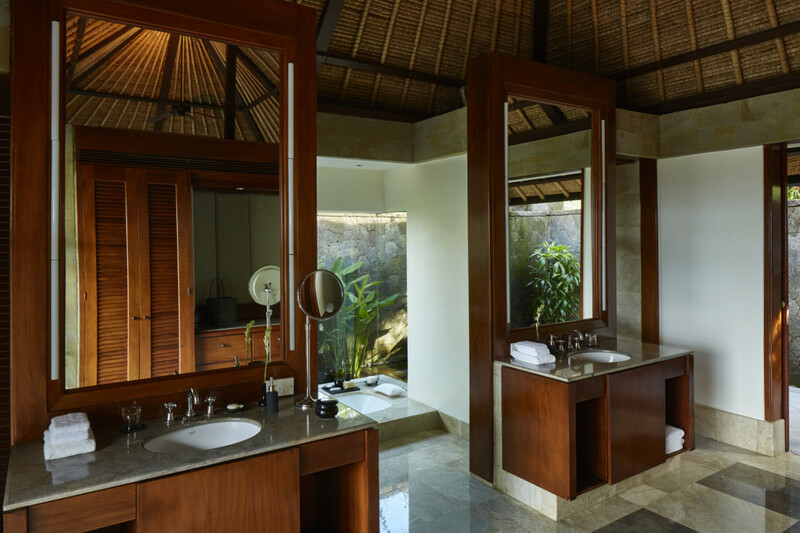 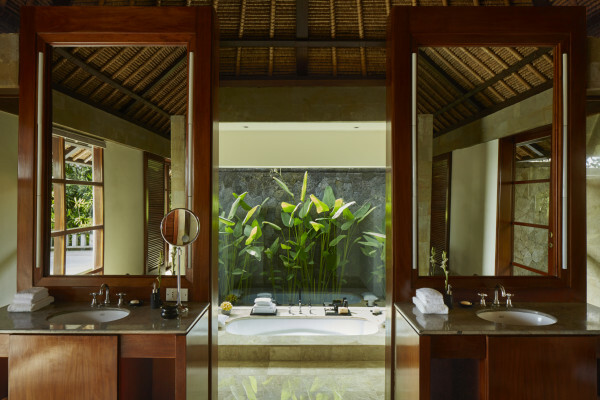 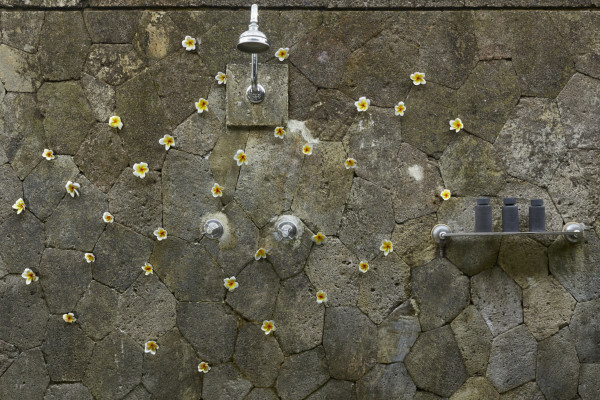 The adjoining bathroom features twin vanities, a shower and a sunken bath that overlooks a private courtyard with a reflection pool and outdoor shower. The living area opens onto a secluded outdoor balcony, which has a large day bed with a canopied roof for shade. Wireless broadband connections are available in all resort accommodations and public areas. 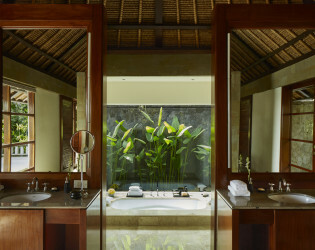 All suites are identical in design and are differentiated by location. 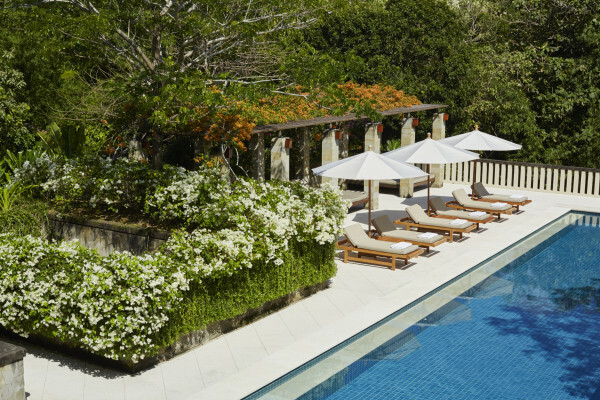 A total of seven suites have private swimming pools. 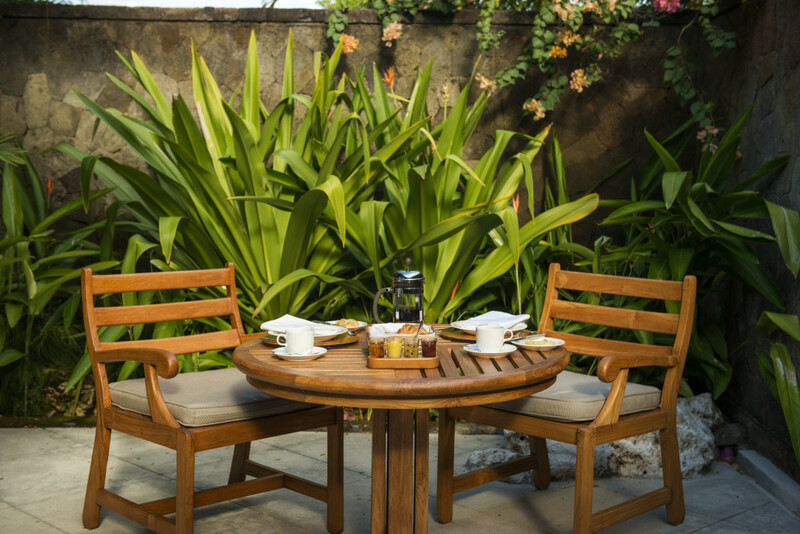 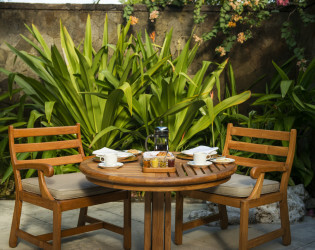 Garden Suites have a garden view while Deluxe Suites enjoy either golf course frontage or ocean views. Check the Lunar Schedule, Amanusa is so mystical under a full moon! 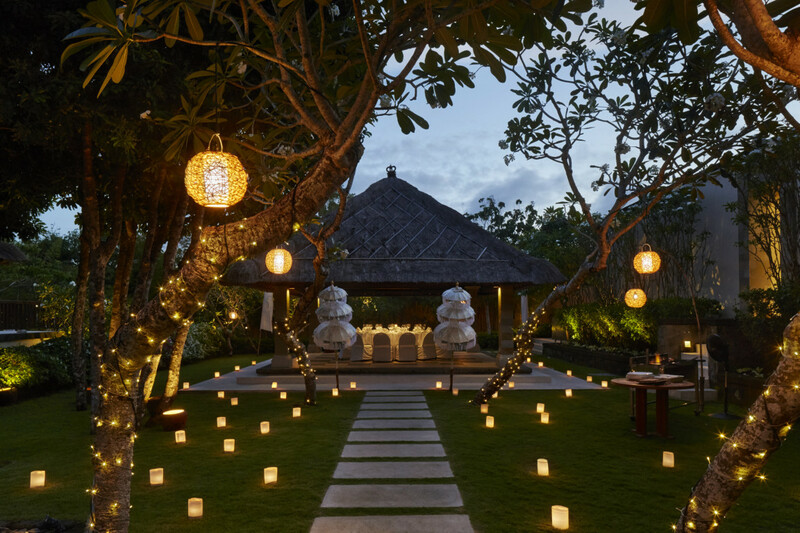 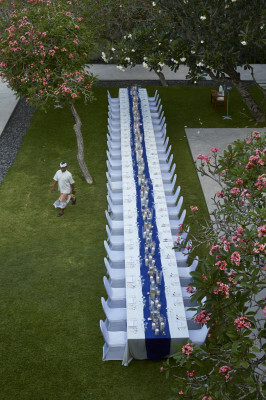 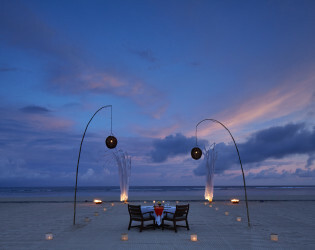 The Italian Restaurant is the best in Nusa Dua with outside seating on the terrace under the moon - a memory of a lifetime! 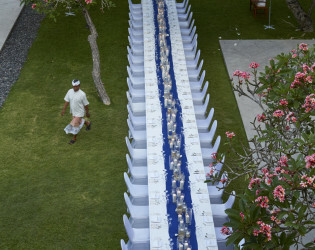 Amanusa has a stunning views of the sea, a beautiful courtyard & swimming pool perfect for weddings, 35 suites and 10 award winning villas all taken care of by caring Aman employees.